for this craft we are getting a little fancy and a LOT colorful! 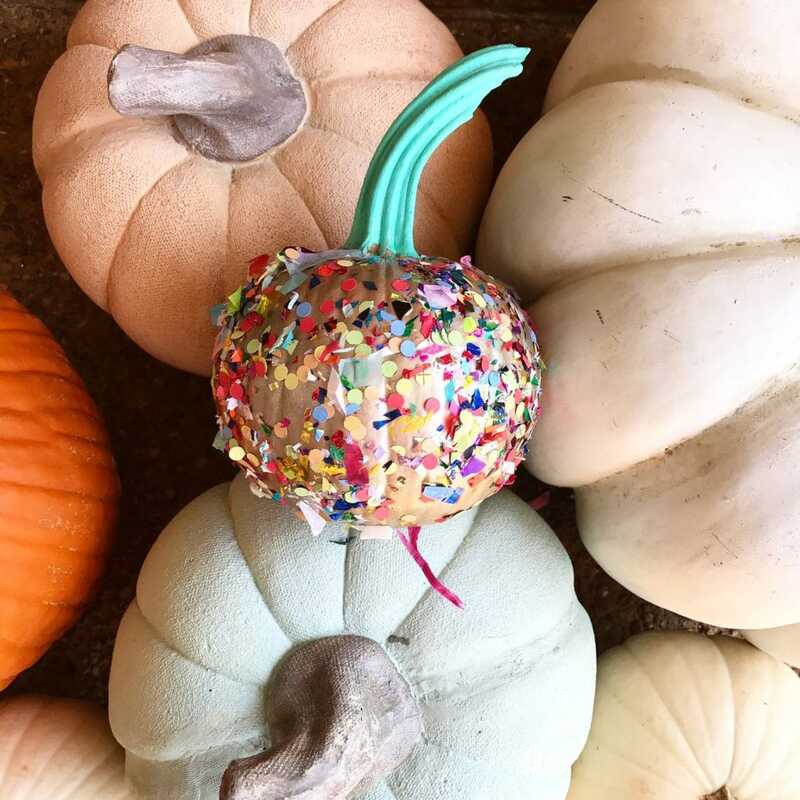 These little confetti cuties are totally great for your everyday festive fall decor, but also any celebration event that happens during the autumn season! Whether it’s a friend’s birthday, or a house warming party, WHATEVER! 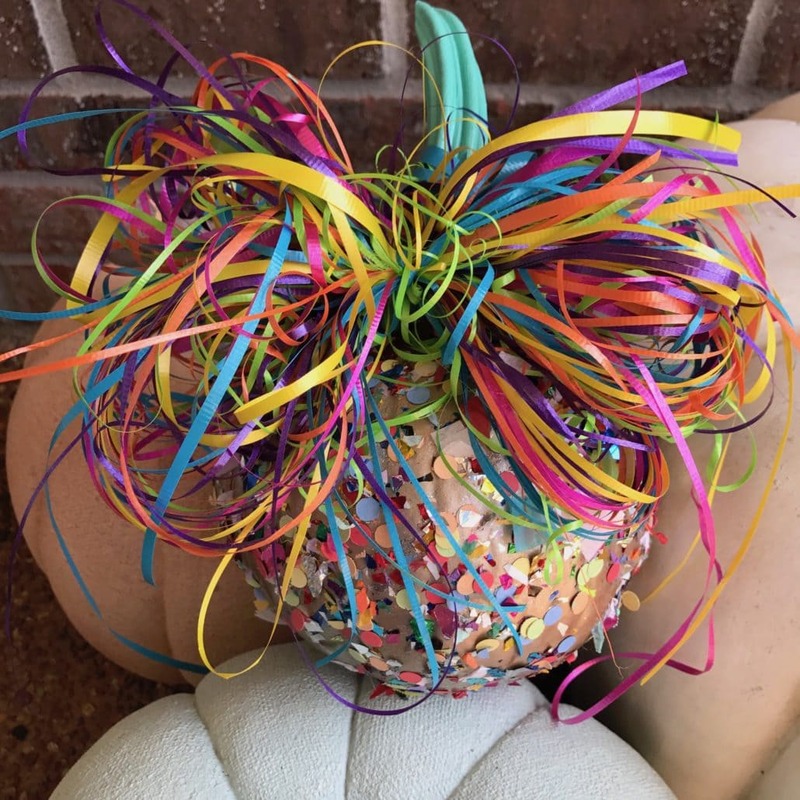 These confetti pumpkins clearly say LET’S CELEBRATE! 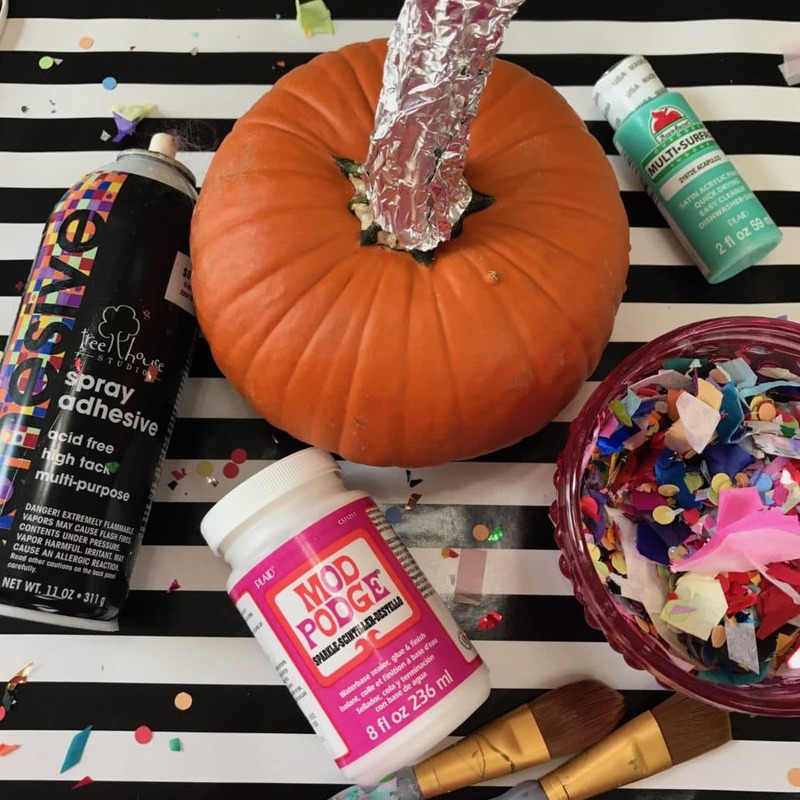 Finish off your confetti creation with a spray sealer and a big bountiful bow! You can even paint the stem a beautiful bright color if your heart desires! Feelin’ fancy? 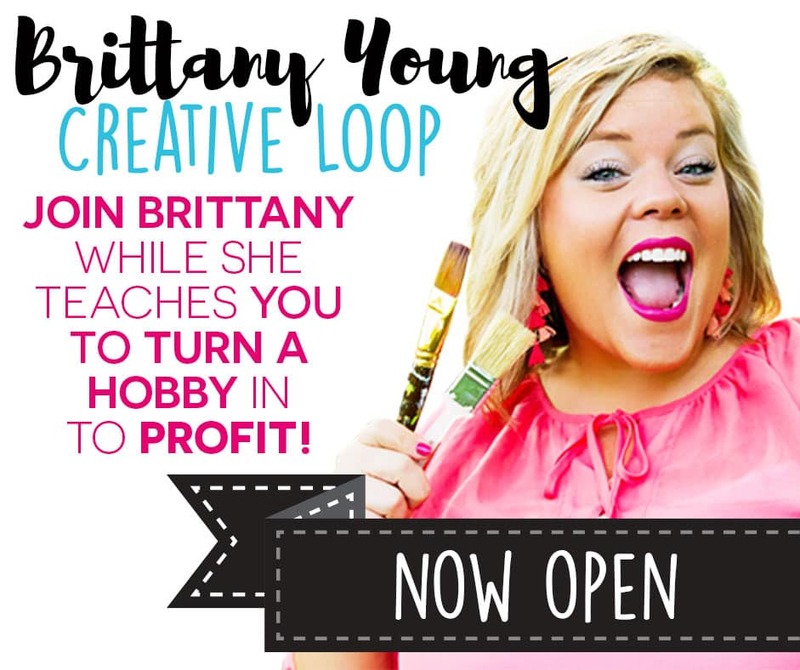 Click on the video below to create with me step-by-step! Use the code: brittany15 for a sweet savings!